Among the southern Bwa people, masks typically represent bush spirits that the wearer invokes for the benefit of his community, such as the hawk, crocodile or buffalo. Bwa masks, in common with the neighboring Gurunsi and Nuna people, are characterized by highly geometric designs and dichromatic patterns of alternating dark wood and white kaolin clay. Such masks are commissioned and owned by clans for bringing blessings to the village during funerals and the planting and harvesting of crops. It may also be used during adult initiation rituals. 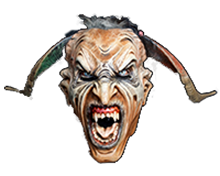 The mask is worn by a skilled dancer who secures it over his face by biting down on a rope on the mask’s back. His body is concealed by a bushy costume of raffia fiber, traditionally dyed red or black, but now also seen in other dyes. Accompanied by musicians playing flutes and drums and women singing songs, the masquerader dances rapidly, imitating the behavior of a spirit. 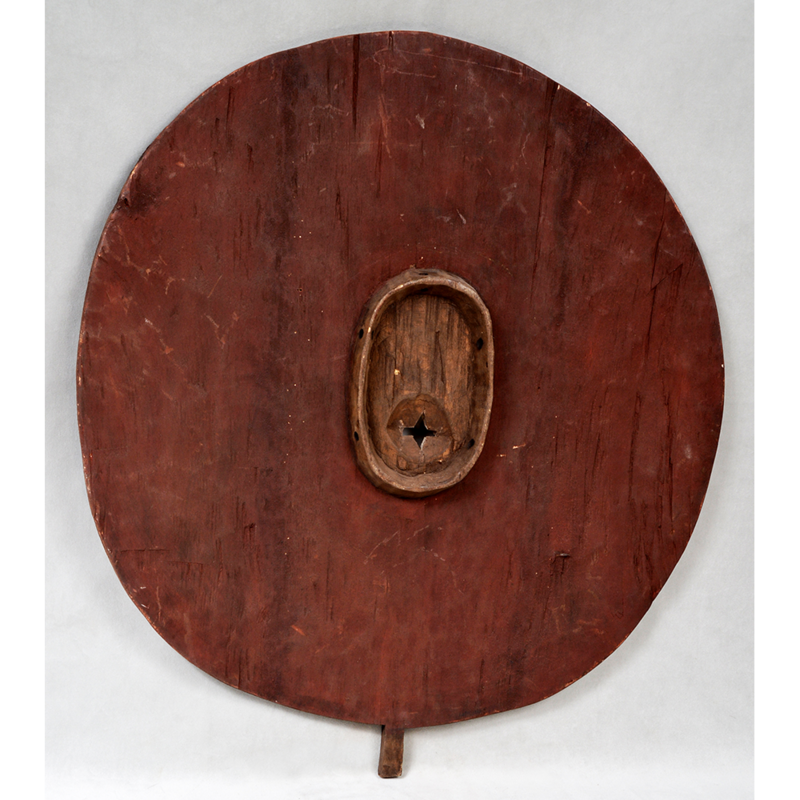 The use of wood masks is relatively recent among the Bwa, who traditionally used plant fibers and leaves instead. 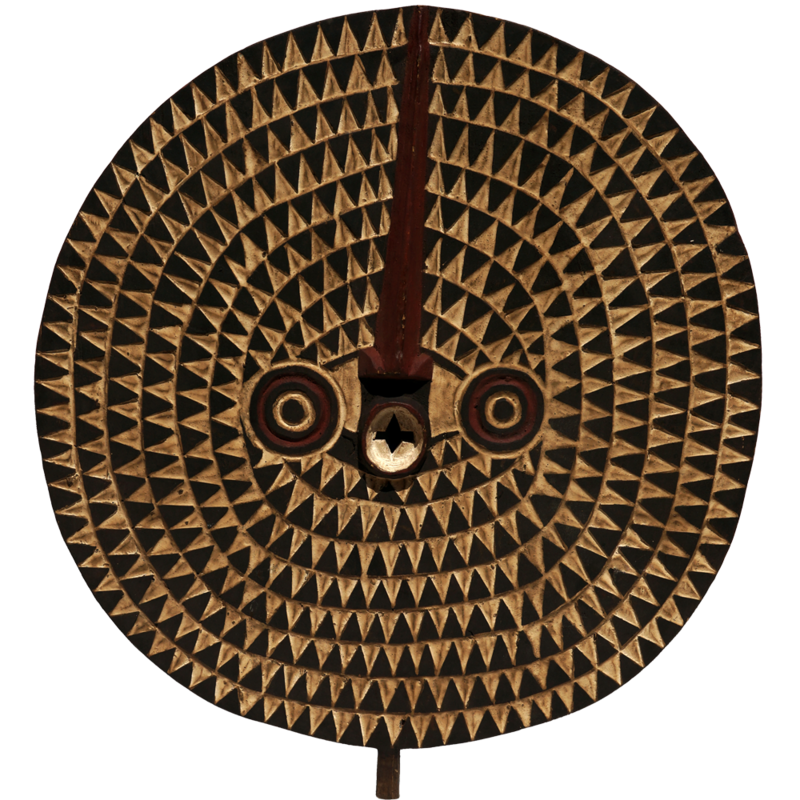 This specific mask represents the owl, a bird considered to have great mystical power by the Bwa people. 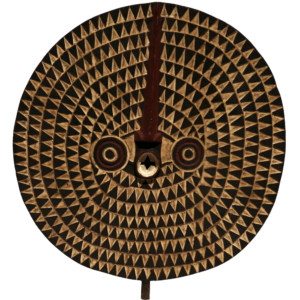 The owl eyes appear on other animal spirit masks as well due to the owl’s exceptional importance to Bwa mythology.